July 30, 2010 under Retailer. 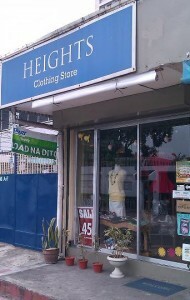 Invisible is proud to annouce that “Heights Clothing Store”, a sustainable fashion retailer, started today carrying Invisible products. 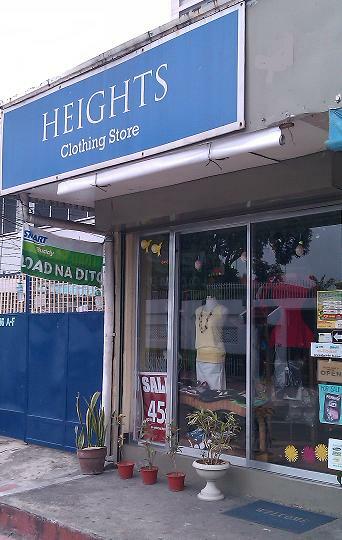 “Heights” is located conveniently close to Ateneo de Manila and Miriam Collegeon on #56 Esteban Abada Street, Loyola Heights, Quezon City. Marie Paul (Apple) de Luna, owner of Heights, comments: We are looking forward to becoming part of the story of Invisible by offering Invisible products to our customers who appreciate not only the design and craftsmanship but also the environmental and social mission of this social enterprise.